One of Microscope World's customers manufactures blood test strips for patients who need to test blood sugar levels, among other things. During the manufacturing process it is important to view some of the test strips for quality control. Blood test strip captured with the SMZ-168 stereo microscope. Stereo microscopes are commonly used for quality control in manufacturing and industry. 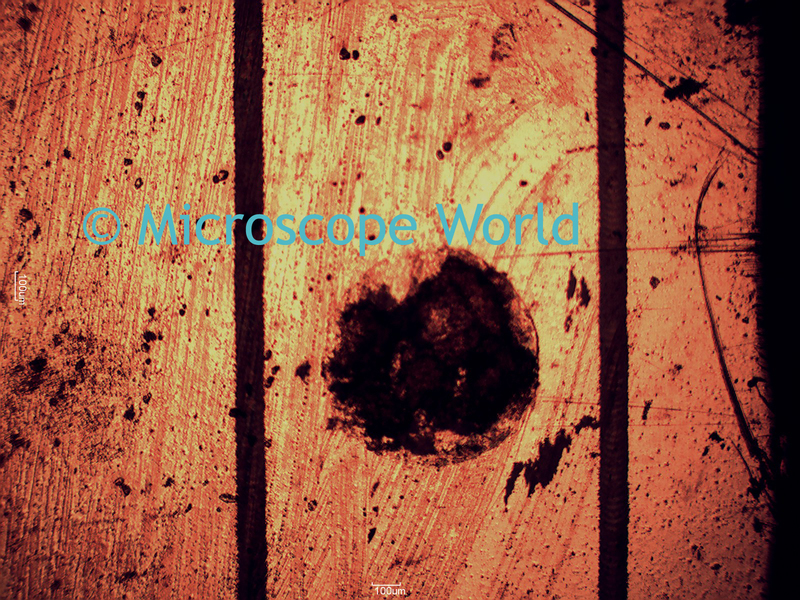 If you have a particular application and wonder if a microscope might help streamline your quality control process, don't hesitate to contact us for a free consultation.